The Transactions and archaeological record were published from 1911 to 1938; it was an English-language academic journal containing articles on historical and archaeological topics. 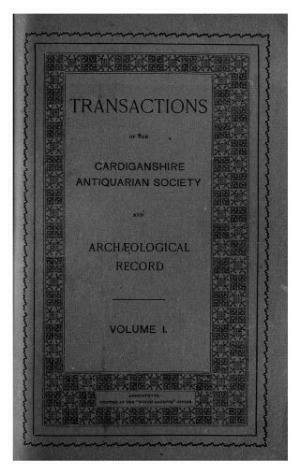 Publisher Details: Cardiganshire Antiquarian Association was founded in 1911 to promote the understanding of the history and archaeology of the county. In 2002 it became Ceredigion Historical Society.